At Prolight + Sound, L-Acoustics announces the immediate availability of new versions of Soundvision, its 3D simulation software, and its amplified controller real time control and monitoring software, LA Network Manager. Soundvision 3.1.0 and LA Network Manager 2.7.0 feature advanced autosolver tools to simplify, accelerate, and improve system optimization from system design to operation. Soundvision 3D modeling software, introduced in 2004, is capable of accurately predicting audio coverage and system performance in real time. Fifteen years of interaction with end users has led to numerous refinements of the program, available free of charge. The latest version, 3.1.0, represents a major upgrade with robust automated features to greatly assist and streamline the system design process: Autosplay and Autofilter. Soundvision 3.1.0 includes Autosplay, a two-step path to optimizing inter-element angles via the Init and Optimize buttons found in the Physical deployment tab. Autosplay uses algorithms to calculate mechanical optimization based on the proposed configuration and design objectives defined by the systems engineer. 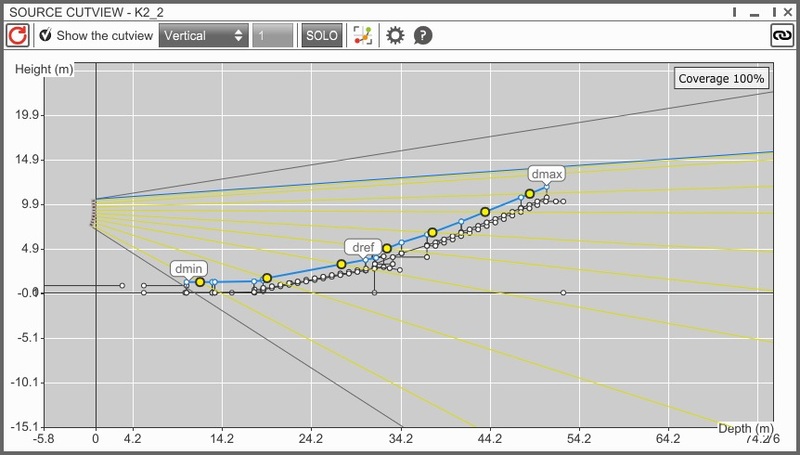 The Autosplay interface proposes a two-click path to inter-element angle optimization via the Init and Optimize buttons. The Init function quickly sets angles to provide an instant view of coverage and output of the selected source, allowing the user to assess whether or not sound design objectives for each source can be met with the chosen configuration. 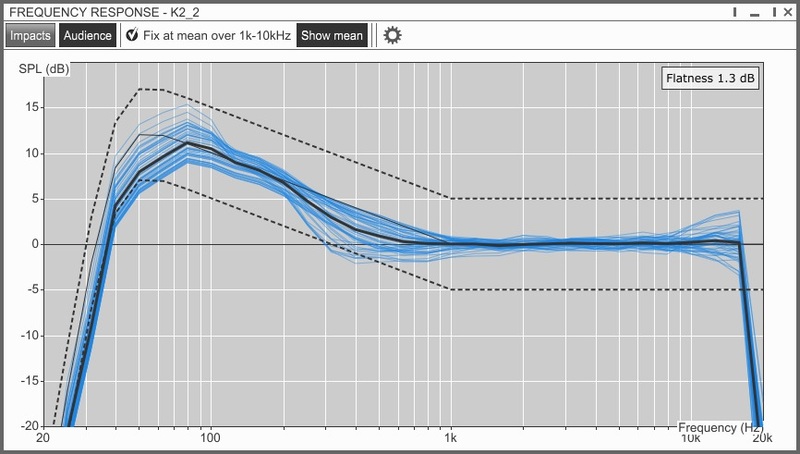 The Optimize function executes a more refined numerical qualitative analysis with a deeper focus on improving sonic performance, including SPL coverage and wavefront integrity. In addition to Autosplay and Autofilter, Soundvision has introduced the optional selection of amplified controllers for each source under the new Electronics Settings tab. This further accelerates workflow downstream within LA Network Manager. Network Manager, L-Acoustics’ real time control and monitoring software, now gives end users the ability to import Soundvision project data. Groups of enclosures or amplified controllers created within Soundvision 3.1.0 are directly loaded into an LA Network Manager 2.7.0 session as amplified controller groups. Furthermore, any zoning parameters subsequently edited in Soundvision can be easily synchronized from within LA Network Manager, preserving the editing flexibility and user-determined session parameters. 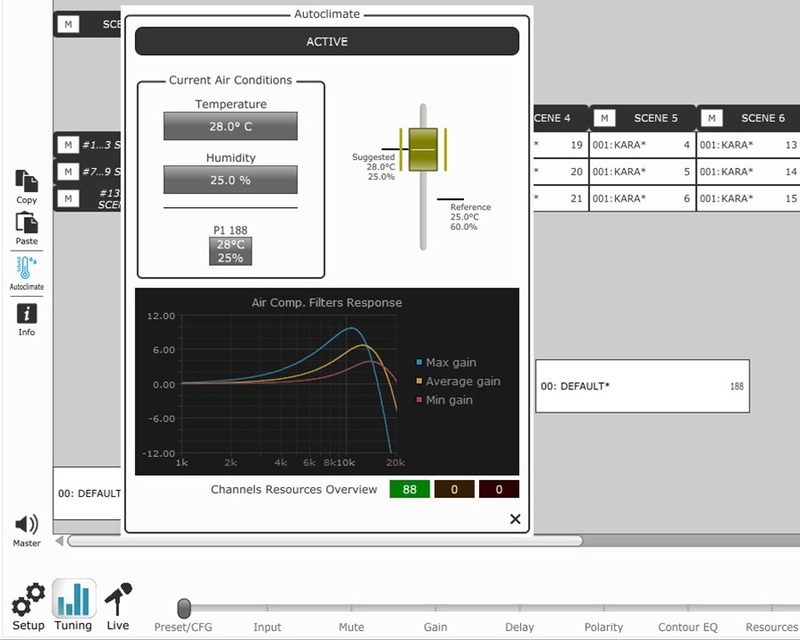 Along with these time-saving Soundvision data import and sync functionalities, Network Manager now offers Autoclimate, a new tool materialized by a sidebar button that allows for the simultaneous adjustment of all air compensation filters based on measured temperature and humidity conditions, accounting for specific shooting distance of each zoning group. Please visit the product information pages at the link below for access to the new versions of Soundvision 3.1.0 and LA Network Manager 2.7.0 and at Prolight + Sound, Hall 8.0 / booth H85, Galleria demo room Symmetrie 2+3.